Gravenhurst is part of the Muskoka region of Ontario near Bracebridge, Muskoka Lakes and Huntsville. It is known for it's luxurious cottages for Toronto weekenders to come up and relax in one of the most peaceful areas of the world. So peaceful is it that many celebrities have cottages in Gravenhurst including Kate Hudson and Kurt Russel. As it is such a relaxing place it is a fantastic place to have your wedding photography taken. 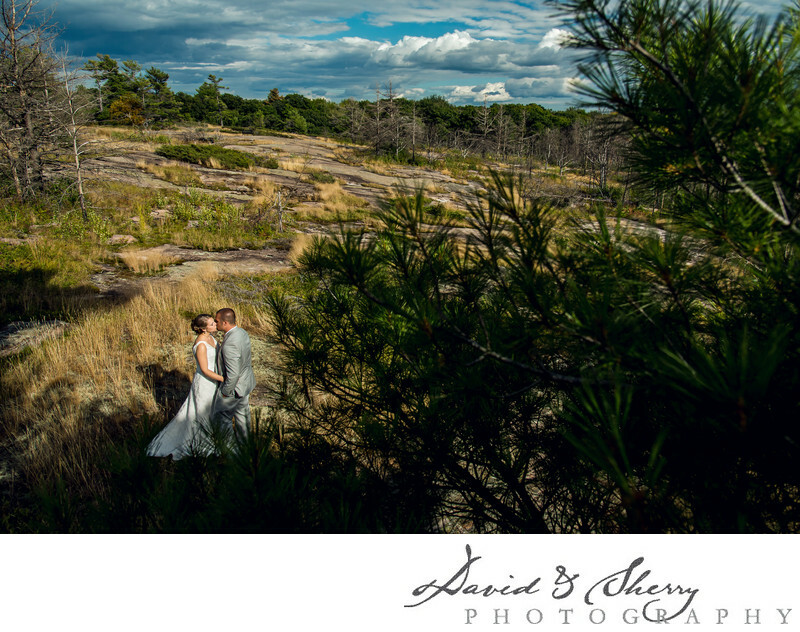 As Gravenhurst Wedding Photographers we are often taking pictures of brides, grooms, in laws and parents, bridal party, flowers, dresses, shoes, and decor at venues like theResidence Inn Gravenhurst Muskoka Wharf which offers a special experience for a wedding or engagement party. With the lake in the background, majestic photos take place. Steamship or boating options provide one of a kind picture. The Residence Inn offers a stylish venue, high-tech music, videos and AV equipment to ensure a festive celebration. Planners offer a unique and specialized ceremony for the bride, groom and guests. Other facilities within the area surrounding Gravenhurst, offering superb venues are JW Marriott The Rousseau Muskoka Resort & Spa, Sherwood Inn, and Christies Mill Inn & Spa. All offer various forms of luxury, are situated lakeside displaying panoramic views and are there to facilitate a memorable wedding day.